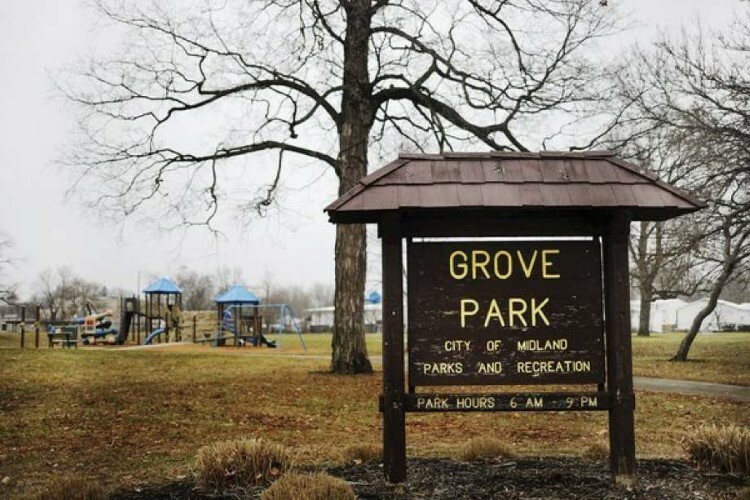 Grove Park has a deep rooted history in Midland. The land was originally the main location of the city’s public school system for over seventy years, and was the site of Midland’s first high school. It was given its name during the lumber era, along with Pine Street that borders the edge of the park. In 1908, the original high school was destroyed in a boiler explosion and as a result, in 1909 two new schools were built. A middle school as well as a new high school to replace the previous one. 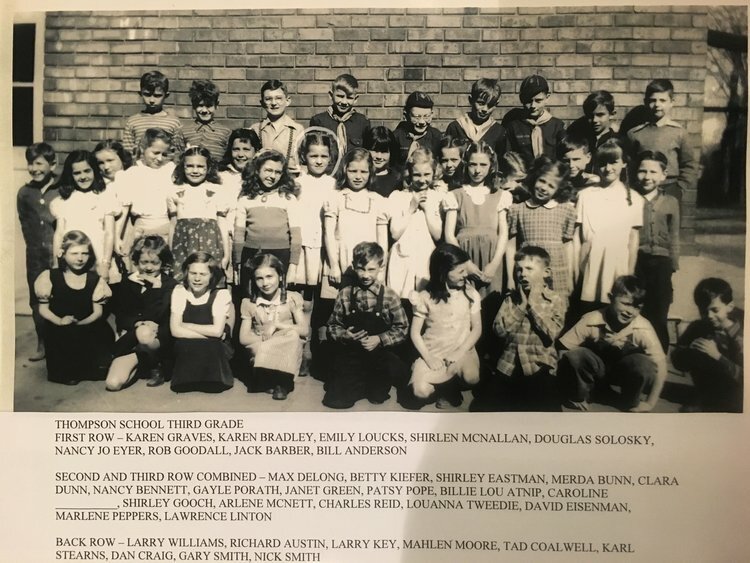 In 1937, Midland’s previous Union High School was turned into a junior high school that was used until 1957, and in 1966, the property was converted to park property when the land was deeded to the city by school administration. It was sold for a whopping investment of $1.00. Grove Park became an officially chartered park in 1975, which meant that it was protected from being used as anything other than public recreation or green space. Since that time, the park has gone on to function as many different things to many people. It has been a place to play, to relax and to enjoy long summer days. There is an older soccer field, walking paths, commemorative plaques, benches and recently, a small playground was added for small children to enjoy with their families. Some area teens have even been known to tie hammocks to the trees and relax away the hours. Grove Park and the playground as it is today. The park is not without need for improvement and modern updating over the years. Grove Park has also historically been known as a location where crime occurs at night, with police cruisers patrolling the area often. Sometimes there is litter strewn about, although Midland Parks and Recreation staff do their best to keep the area clean. As is exists today, Grove Park is mostly an open green space with minimal attractions to entice. However, with its central location in what has affectionately now become known as Midtown, many feel it is being underutilized and agree that it could use some sprucing up. Midtown has been rising quickly in recent years, as an offshoot of the Downtown Midland area, with perhaps more opportunities than downtown for growth, change and entrepreneurship. Grove Park is situated in the Midtown District in Midland. The Ashman Plaza is located across the street from Grove Park, and is a preserved, popular and appealing mid-century building. Businesses like Live Oak Coffee Shop, Captured Photography, Incub8, Little Midland, Amy’s on Ashman, The Eye Loft and Parker Lane Studio Design all reside there and have come to be known as The Ashman Collective. Bricks Real Estate has also recently renovated the building directly next to Grove Park on Ashman Street opposite of the Ashman Plaza, resulting in a successful real estate office. Long-time favorite small businesses like Camp’s Music and Lisa’s Natural Nails continue to operate just up the road on Ashman Street. The Midtown District has even developed its own neighborhood association that meets regularly to discuss happenings in the region and determine next steps for the burgeoning region that is on the cusp of an exciting revitalization. An aerial look at Midtown and Grove Park. 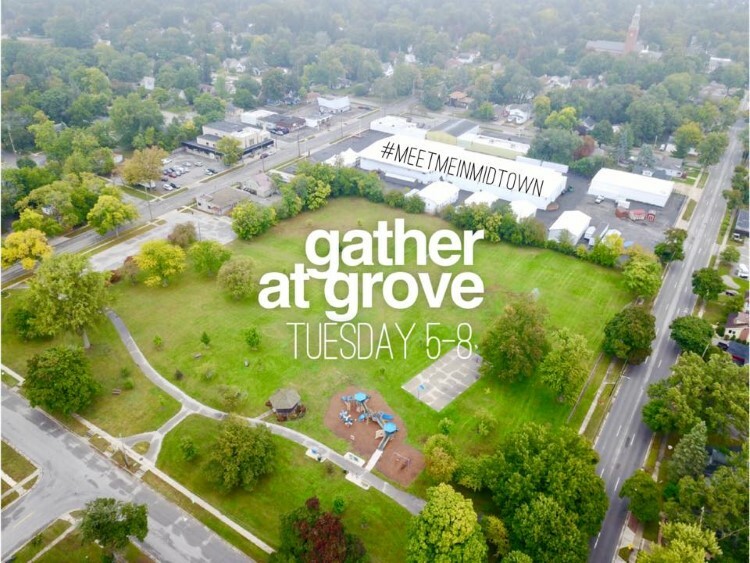 All of the excitement has gotten the residents of Midtown and community members alike very interested in making changes to Grove Park. With investment interests from the Midland Noon Rotary Club, support from local Midtown businesses, and a renewed interest in adding new public art to the park have all been factors in the City Parks and Recreation team’s decision to create a master plan. The master plan is a long-term vision for what Grove Park could one day become. “This park has been stagnant for years, waiting for the sort of community interest that is brewing right now with the inception of Midtown as a branded area of the community. The recent growth and excitement that the local businesses have stirred up in Midtown is exactly what we need to breathe new life into the park,” says Karen Murphy, Public Services Director of the City of Midland. Karen Murphy, Midland's Director of Parks and Recreation. Murphy's many duties include serving as the Director of Parks and Recreation, and that means responding to community interests in parks. “We have hired a park designer to lead us through a public input process that will give us a conceptual, forward-facing plan for upcoming renovations in Grove Park,” says Murphy. 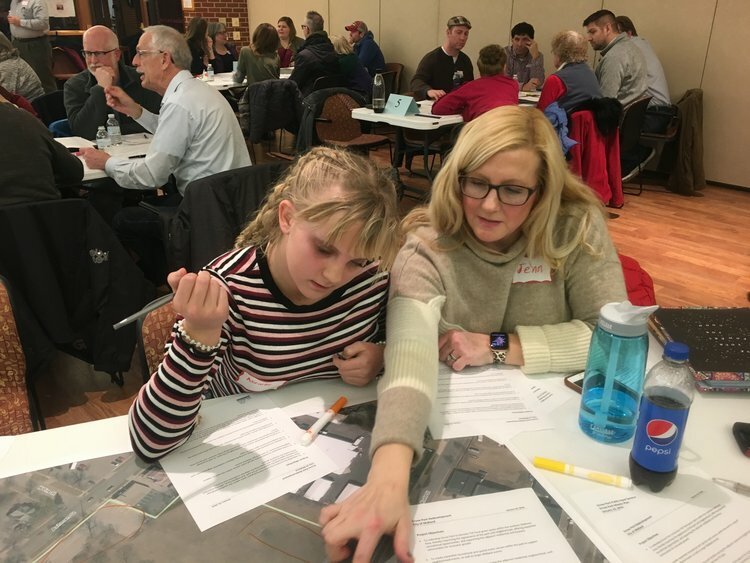 Pam Blough of PM Blough Inc., a landscape architecture and planning firm, Karen Murphy and several staff from Parks and Recreation all worked together to lead a recent public input session in January 2019. The packed room was filled with community members all interested in adding their ideas to the park’s master plan. The public input session brought forth excited neighbors of multiple generations. “The key to any successful park restoration is to involve the community from the start so their voices can be heard. 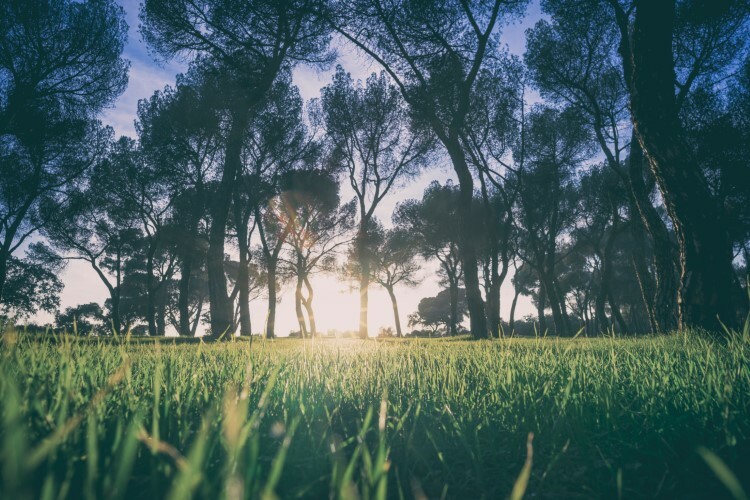 As we weave the community’s ideas into a master plan for Grove Park, we will do so with consideration for the surrounding neighbors so that the improvements will not negatively impact their experience of living next to a park. Happy neighbors are much more welcoming to park guests and in the end, we want a destination that everyone is pleased to visit,” says Murphy. The concept of a new Grove Park is near and dear to Murphy’s heart. “This renovation is exciting to me because I grew up frequenting Grove Park. My grandparents lived on Grove Street, which is kitty-corner to the park and I have many memories of playing softball with my uncles, flying kites and getting them stuck in the big majestic trees and even having a family Easter egg hunt where I was the lucky kid who found the coveted ‘golden egg’ during the holidays,” says Murphy. 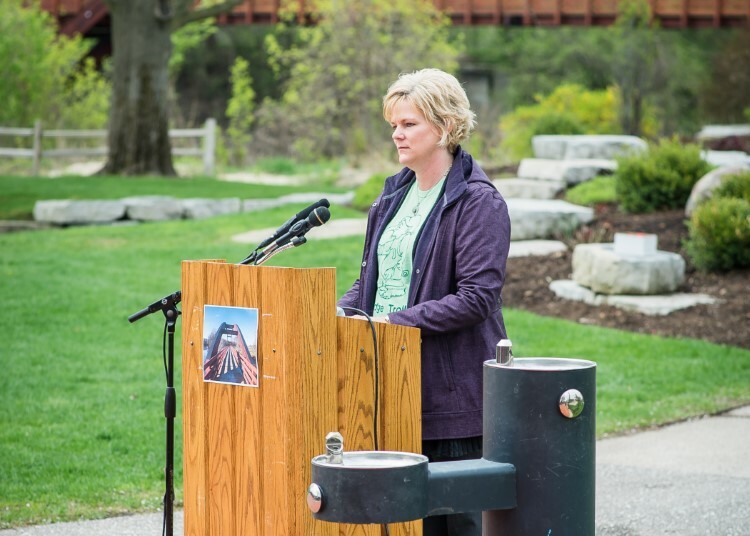 “To become the parks director in my hometown with the chance to renovate Grove Park and bring new life to it is something I never would have imagined as a kid running through the park on a trip to my grandparents’ house,” she says. Coincidently, the public input session brought forth excited neighbors of multiple generations. Gayle Hannah and Janet Rice both attended the planning session for the next generation of the park. Gayle Hannah, community member and planning commissioner, has a long term interest in what happens with Grove Park. Both Hannah and her friend Janet Rice attended the original Midland High School located next to it. 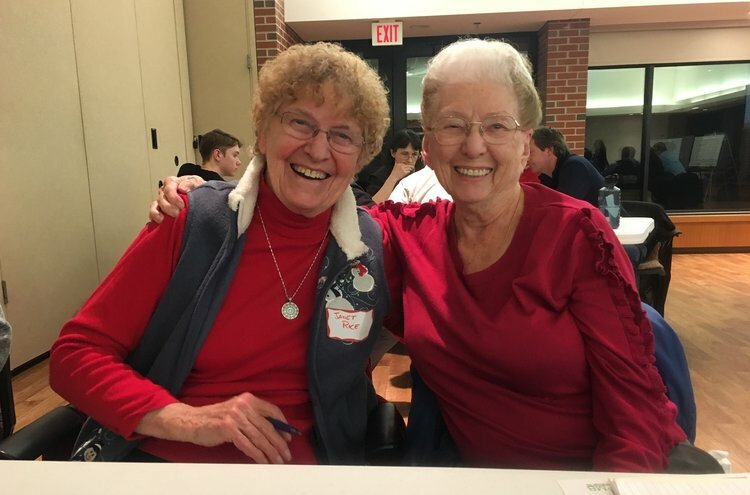 Gayle Hannah and Janet Rice attended school together, eventually graduating from Midland High School. Thirteen year old Abrielle Vande Zande spends time in the park often. “I think it is good now, I don’t think it needs more attractions. There are other parks, including Central. Downtown is close, and this is a family park. It does need some remodeling and repair, but it’s perfectly fine as it is. It just needs a few updates and maybe also some lighting.” Abrielle and her friends often spend time in the park, enjoying the features that are currently available. Abrielle Vande Zande and her mom at the Grove Park planning meeting. The park designer and City staff are now working to distill the ideas down into a manageable list of renovations that will be laid out into a draft plan. Once the plan is complete, interested funders that come forward can then choose from the upgrades in the plan like a sort of menu. 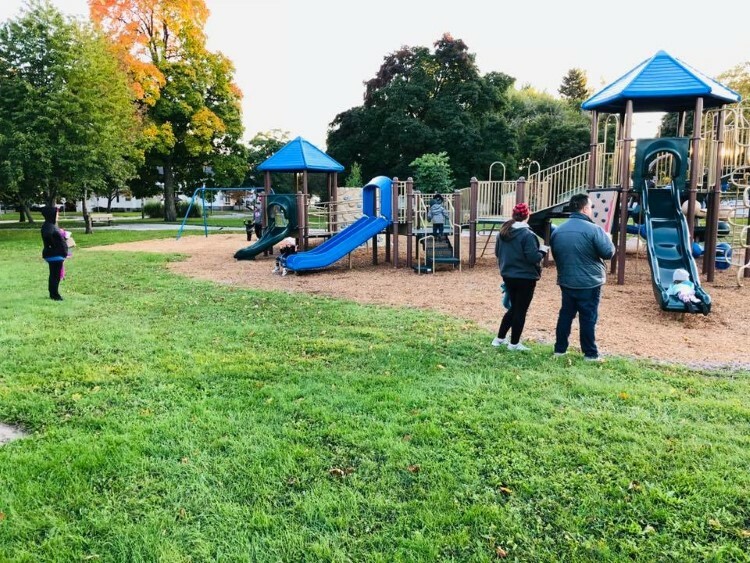 They will pick the features they would like to fund, and over time and depending on the interest of potential funders, the goal is to have a fully-funded master plan that will reimagine an improved Grove Park. Regardless, the community is excited to see the Grove Park space evolve for future generations along with the rest of the surrounding neighborhood.